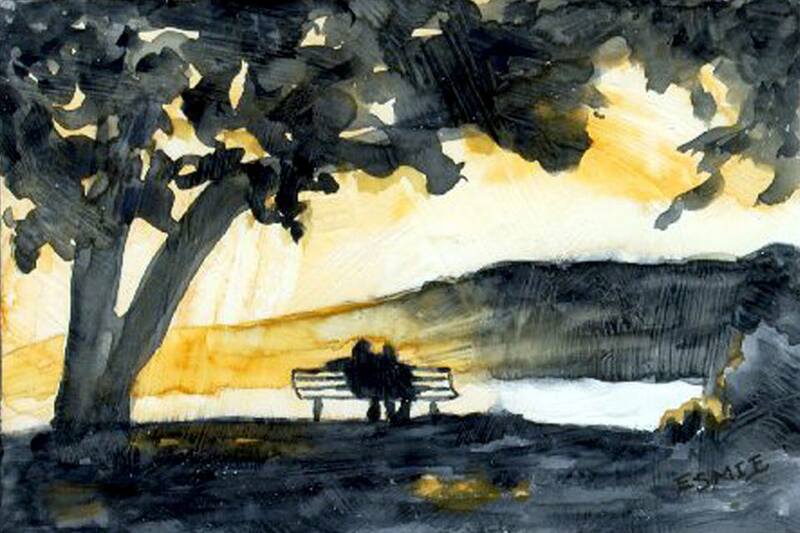 Paintings by DaveMcGuigan and Esmie Gayo McLaren. 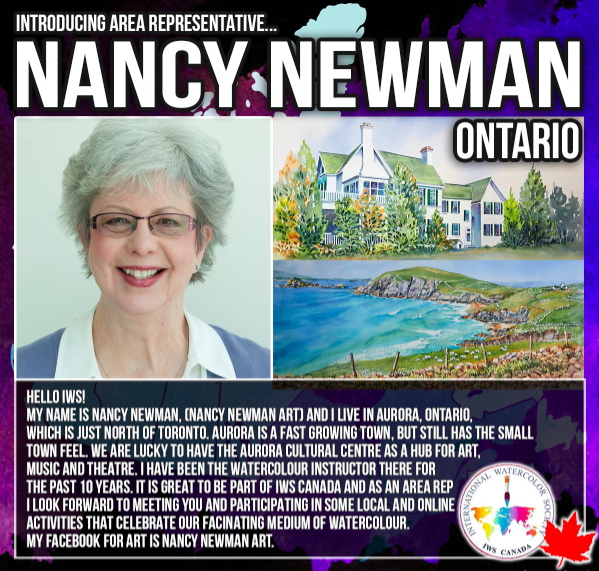 Renee Lippa My name is Renee Lippa and I paint in my home studio in Sherwood Park, AB. 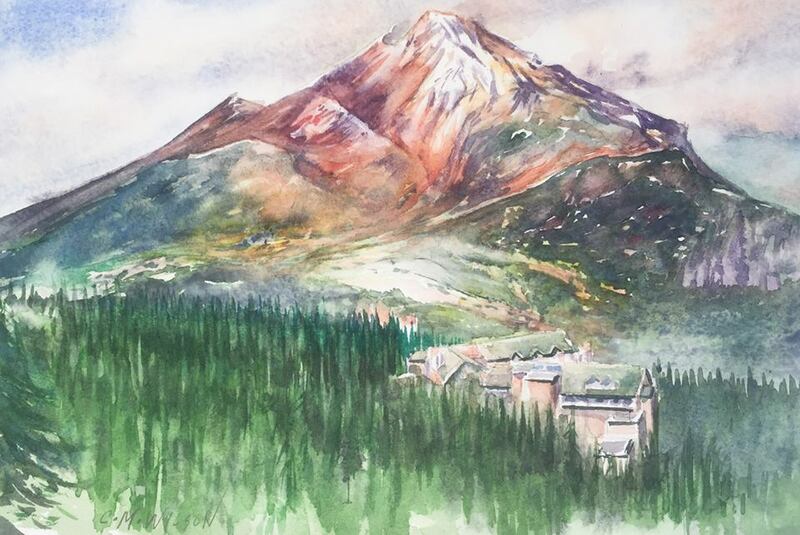 Working in watercolour is without a doubt a passion of mine and I love being able to share my work. 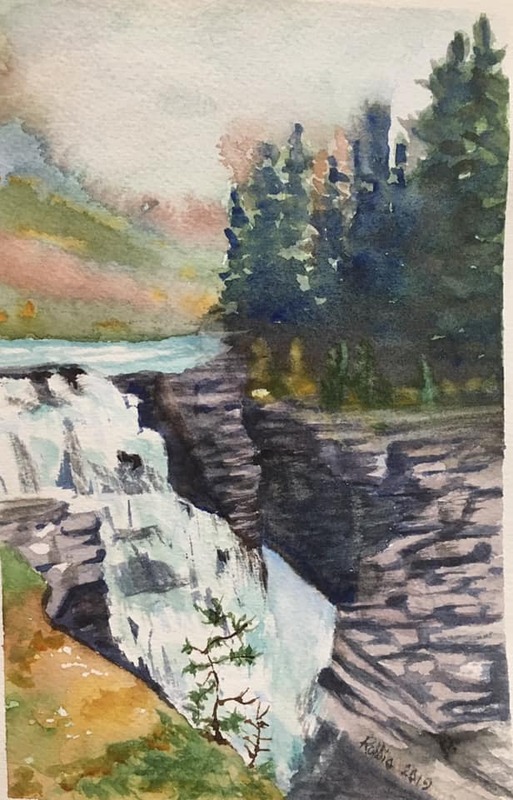 Oil and acrylics are the dominant medium in Alberta but year after year I see watercolour making a come back. 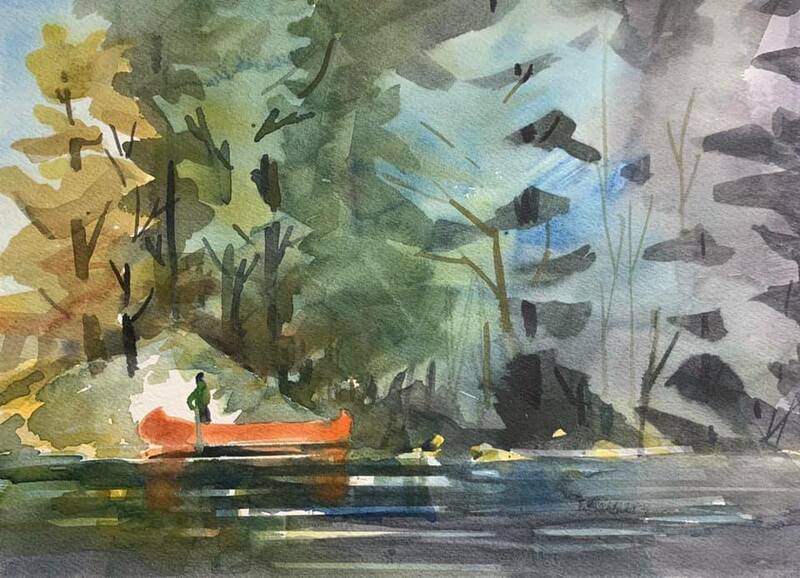 A lot of artists that create in other mediums express their fear of watercolour. 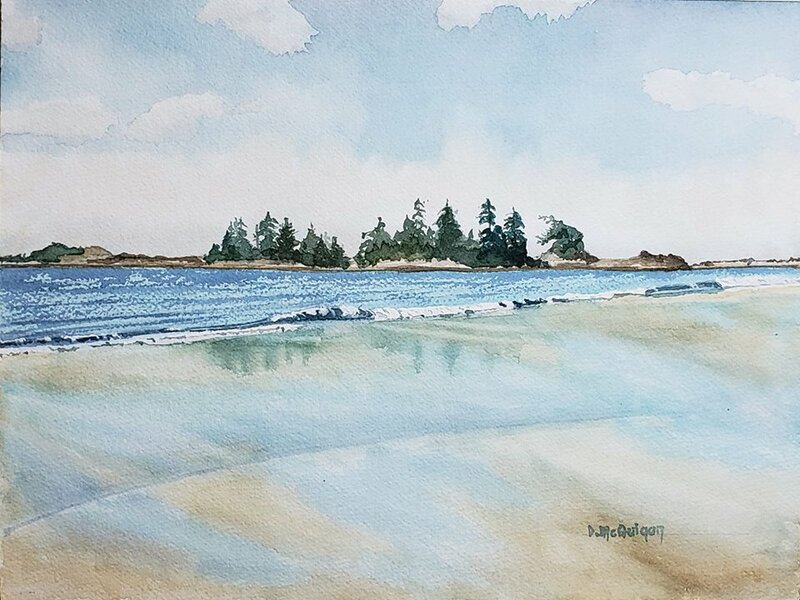 I hope by being a member and an area rep for IWS to be help change that perception with the help of other talented and enthusiastic watercolorists in my community. 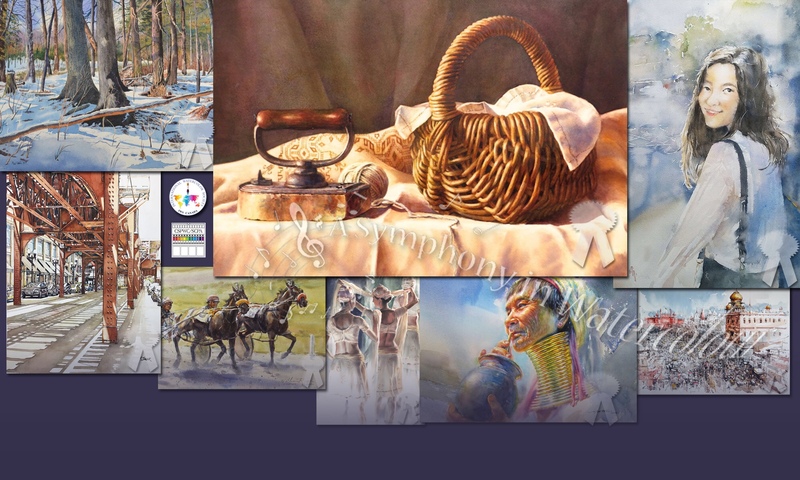 For info on my work, visit my facebook page Renee Lippa Fine Art. 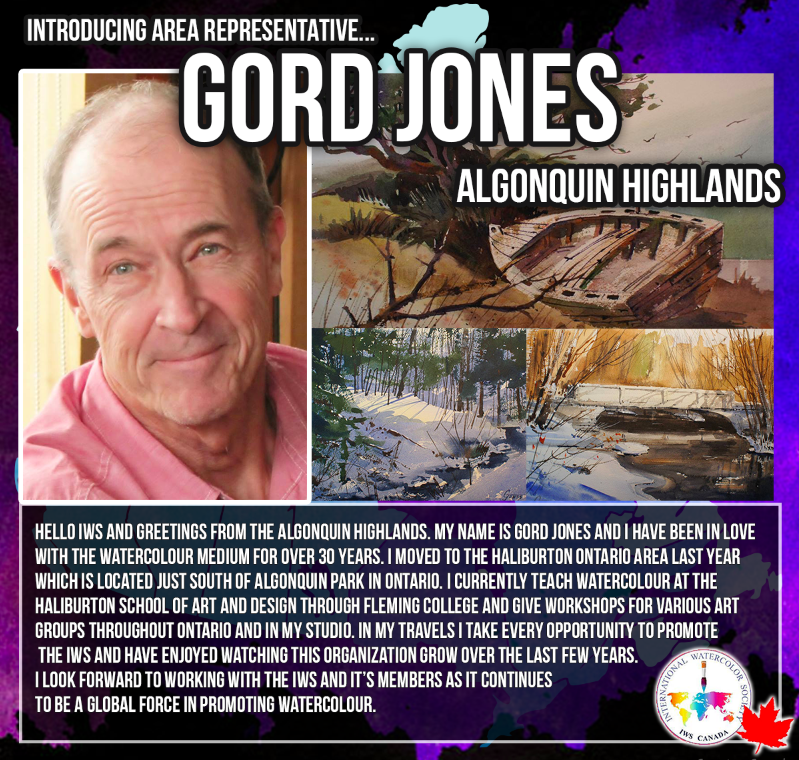 Hello IWS and greetings from the Algonquin Highlands. 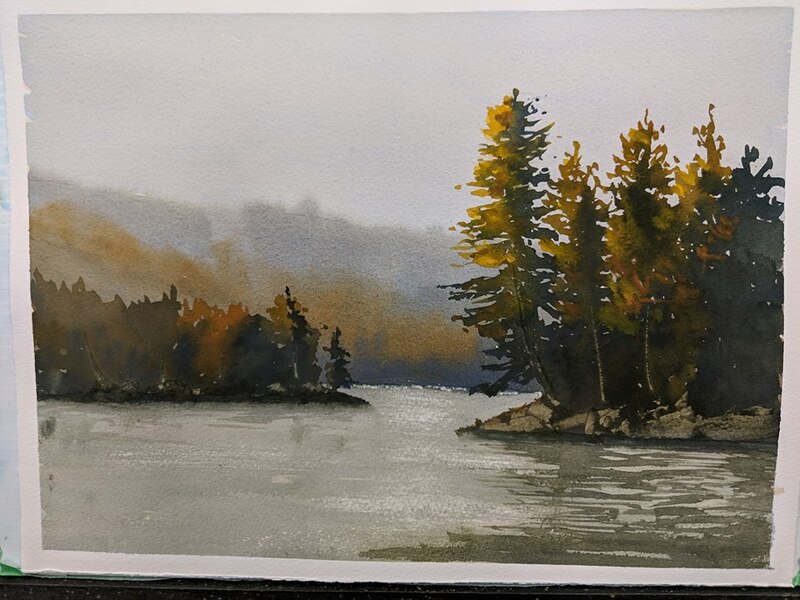 My name is Gord Jones and I have been in love with the watercolour medium for over 30 years. 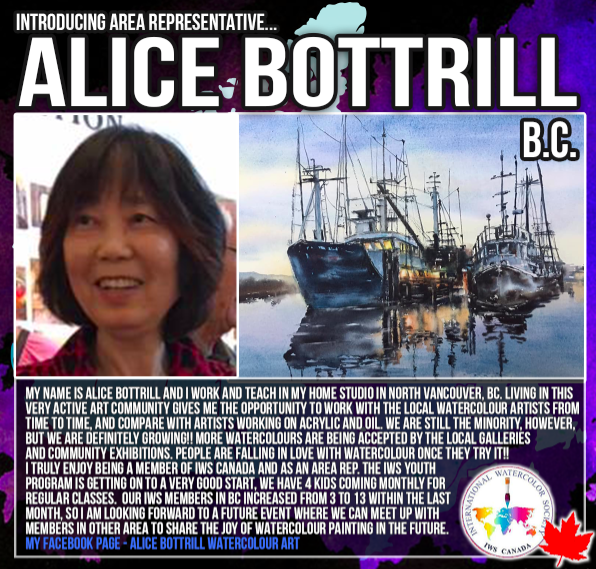 I moved to the Haliburton Ontario area last year which is located just south of Algonquin Park in Ontario. 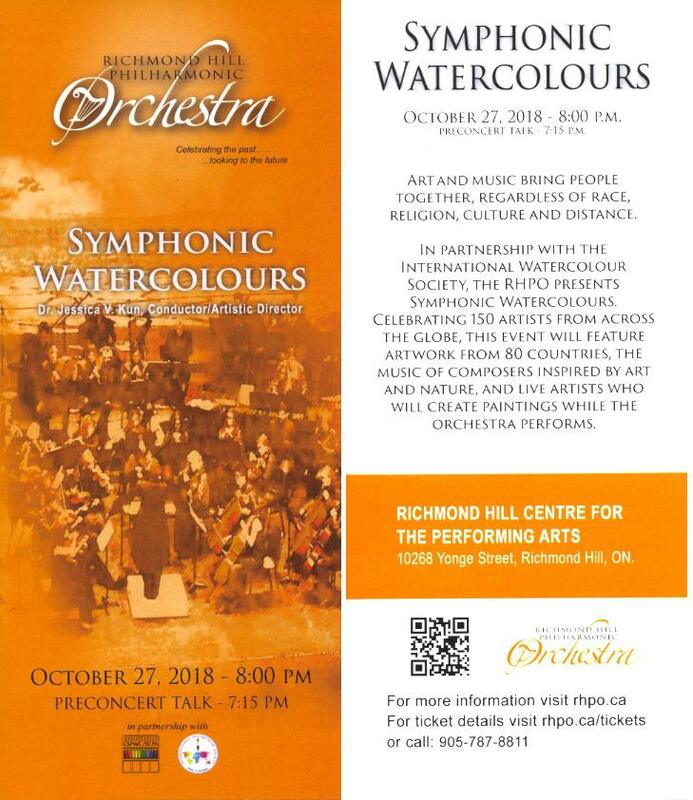 I currently teach watercolour at the Haliburton School of Art and Design through Fleming College and give workshops for various art groups throughout Ontario and in my studio. 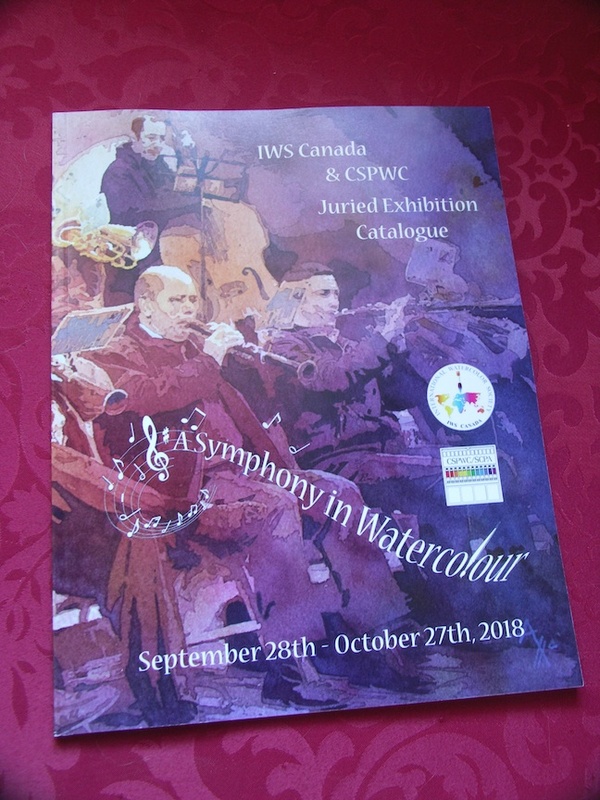 In my travels I take every opportunity to promote the IWS and have enjoyed watching this organization grow over the last few years. 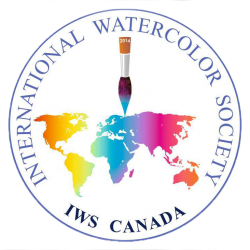 I look forward to working with the IWS and it’s members as it continues to be a global force in promoting watercolour. 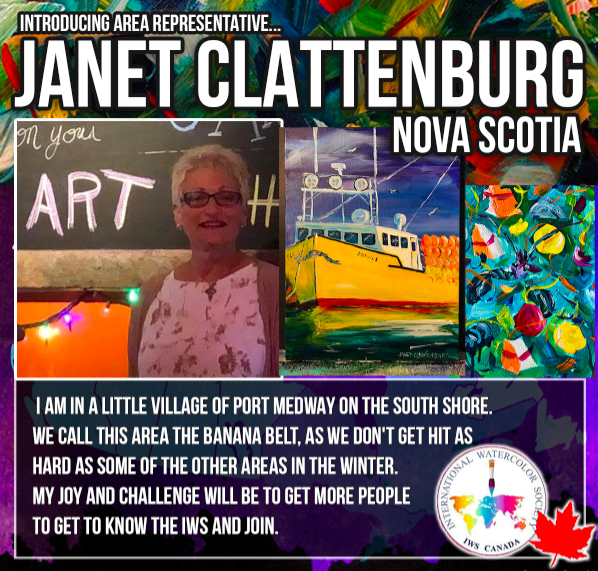 I am in a little village of Port Medway on the south shore. We call this area the banana belt, as we don’t get hit as hard has some of the other areas in the winter. My joy and challenge will be to get more people to get to know the IWS and join. 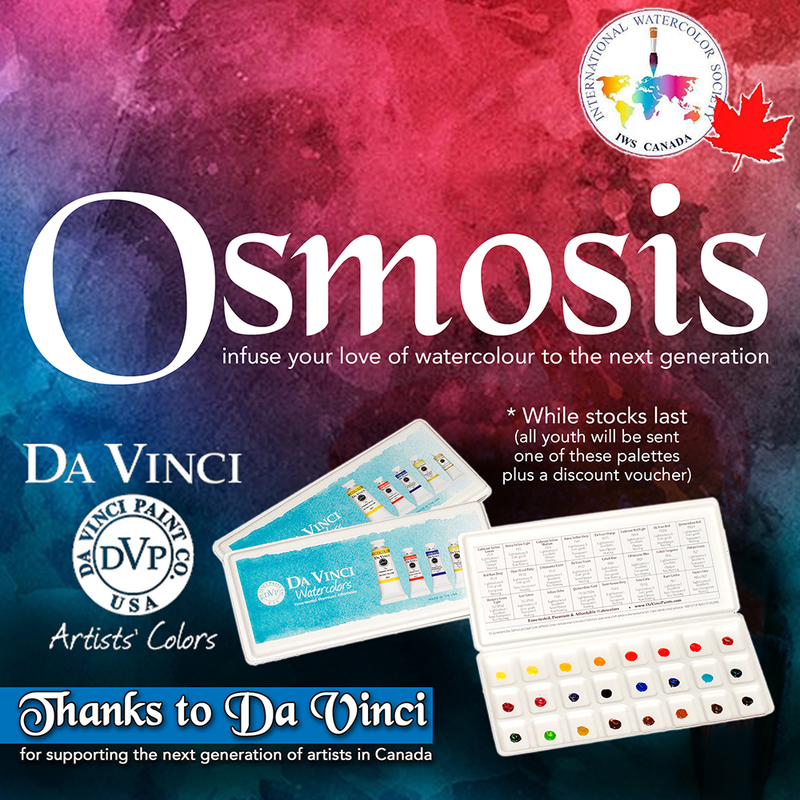 Special thanks to Da Vinci paint company for providing watercolour sample packs to be given out to the youths participating in our “Osmosis” mentoring program.